Development Synergy: International Literacy Day: How Are You Helping? International Literacy Day: How Are You Helping? Today is International Literacy Day - 8 September. The theme for this is year is 'Literacy and sustainable development'. How are you contributing to increasing world literacy? 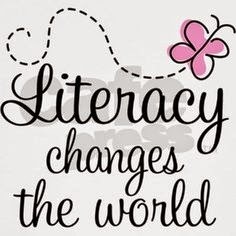 Literacy can promote development in a society, it helps people and nations make informed decisions. It can reduce the level of violence in the world and can empower nations to sustain themselves. Literacy plays pivotal role in development. Happy International Literacy Day.